Chinese scientists have periodically spoken out against the national web filtering system, often termed ‘the Great Firewall’, which blocks and censors web traffic from overseas websites. It damages research, they say. But their voices have been dismissed — and deleted — again and again. 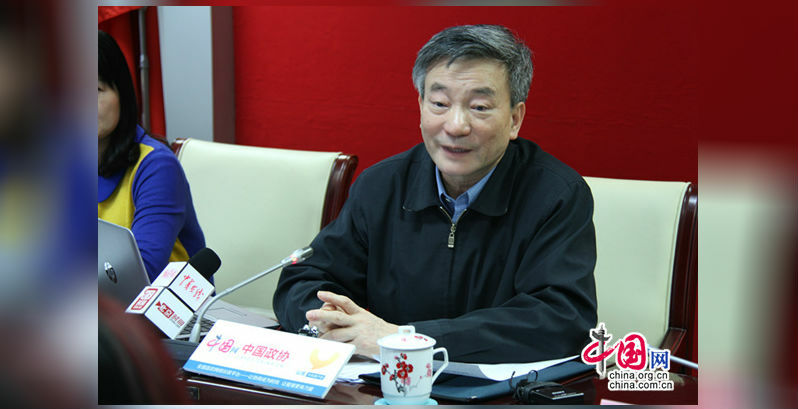 The latest criticism came from Luo Fuhe, vice-chair of the national advisory body, the Chinese People’s Political Consultative Conference (CPPCC). Ahead of the annual Two Sessions of the CPPCC and National People's Congress, Luo, who is also the vice chair of a minority political party under the control of the Chinese Communist Party, the China Association for Promoting Democracy, submitted a proposal urging the government to improve loading speeds for overseas websites. The proposal was based on a study that was conducted by his party. A journalist from China.com followed the news and his report on Luo's statement was distributed via various news outlets in China. Within a few days, however, overseas media began to pick up the report , and reports on local media portals relating to Luo's proposal were swiftly taken down. Nevertheless, his proposal is still circulating on Chinese social media  and has overwhelmingly been backed by Chinese netizens. Currently our country's internet connections to overseas websites are getting slower and slower. This affects our economic and social development adversely, as well as our scientific research. It needs public attention. We should improve infrastructure and increase the number of exit nodes to the international network. Moreover, the introduction of a “black-list” system will also increase the speed. This will cater to the needs of open development. In the past few years, the Great Firewall has been upgraded and all traffic from overseas websites are subjected to blocking and filtering. Moreover, secure Hypertext Transfer Protocol (HTTPS) has become a common practice for overseas websites. Now, even when an encrypted website is not blocked in mainland China, data transfer is slowed down, disrupted or even suspended as the encrypted data passes through the Chinese filter. When visiting the Food and Agriculture Organization (FAO) of the United Nations or many other overseas university websites, it takes at least 10-20 second to access a page. Sometimes it takes more than half an hour to access some university websites…some researchers have to buy circumvention tools in order to access information for their scientific research. This is so abnormal. There are some cases in which overseas Chinese students, having returned home from holiday, could not access their university websites and failed to submit their papers online. There are also cases in which experts and academics who work in China have to spend their weekend or holiday in Hong Kong or other countries just to get access to overseas websites for their research work. Adopt black listing of webpages that violate relevant laws and block specific pages rather than censoring all web content from overseas. This is not the first time a Chinese scientist has criticized the Great Firewall for holding back research. On May 30, 2016, after Chinese President Xi Jinping urged scientists to turn China into a strong country with leading technological development during the country's National Science and Technology Conference, an old scientist from the Academy of Science asked Xi to grant scientists access to overseas websites. It is Okay to block overseas websites, but for scientists and researchers, is it possible to give us access to the Internet and let us see what the latest developments in other countries are… we guarantee that we will not read politically sensitive content! Xi Jinping urged Chinese scientists to help China to lead the world in the development of technology. Control over the Internet is too strict and it affects scientists. Accessing overseas websites can help scientists to learn more about how advanced countries have converted knowledge from their scientific findings into technological products. Is it possible to grant special access for scientists and researchers [to overseas websites]? According to China Science Magazine's report, after this speech, the conference hall was silent for a second before loud applause broke out. Without comparisons with and knowledge of others, it will be very difficult for China to lead the world in global technological development. If this problem could be solved, it would be an achievement of this conference! Later, about 78 scientists from the China Academy of Science submitted a joint statement to Xi urging the authorities to loosen control over the web and grant them expanded access. The proposal put forward by Luo Fuhe is thereby not one man speaking out, but rather another coordinated effort by scientists who are pushing the authorities to grant access to overseas Internet. The debate over Internet management has been fierce in China. Last year in March, the Ministry of Industry and Information Technology (MIIT) revised its Internet Domain Name Management Rules and posted a draft online for discussion over the space of a month. Implementing these rules would imply  a “white-listing” of the network through a domestic registration system, which means that by default, all sites not registered in China will be inaccessible unless they are on the government's “white list”. Due to strong opposition, the legislation was halted until January 2017 when state news outlet Xinhua suddenly reported  that the management rule would soon be launched. Now that the scientists have spoken out again and won broad public support in the process, the risk of disgruntling the wider Internet-using community by implementing the new rules is something authorities should take into account.